Track your drivers using our iOS / Android app. No more double bills for GPS Trackers and Smartphones. Respect your driver privacy. Save on data charges. Conserve the battery of smartphones. 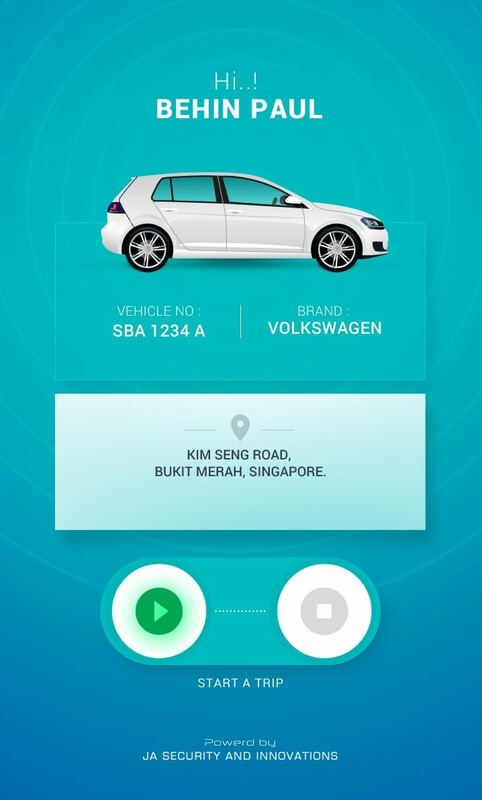 Track only when required: Our cutting edge beacon enabled solution, trigger the GPS App to start tracking only when the driver is inside the vehicle. Once the smartphone is out of range of the beacon, tracking ceases. Customer friendly desktop dashboard for Fleet Management. Download history and speed reports. Track your drivers on a live map. The platform also allows users to send messages to the driver’s smartphone using the portal itself. Mobile app for with features for drivers to manually start and end each work trip, and enter reason for trip, for e.g. pick up document from client A. Reduce paper work from the driver end, but getting them to clock each trip and enter the reason for the trip via the mobile app. This will be sent to the fleet management portal, with reports that can be downloaded daily. Why consider our GPS Tracker Mobile App over competitors?